As we await news of the supposed imminent release of the Always Innovating Touchbook [Portal page], I wanted to bring attention to a demo of the forthcoming Touchbook from a product launch conference called Demo. The demonstration itself is actually a few months old, and maybe it was just me, but it seems like this video demonstration of the hardware didn’t get much notice. 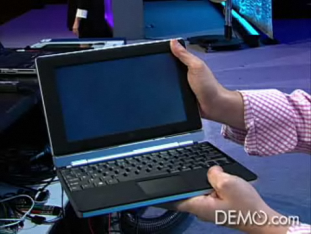 Below we can watch the Touchbook being demonstrated by the founder of Always Innovating, Grégoire Gentil. It is interesting to note that although this seems to be somewhat early hardware, it has the same red top that is purportedly going to accompany the first batch of units that are due to be released this month.